Do you find it difficult to operate your tablet in the surroundings of mines, construction sites or in any other disturbing environment? Well, be calm. Panasonic has come up with a hard-nut-to-crack tablet. This tablet will not be damaged by dirt, moisture, dust or even accidental drops. 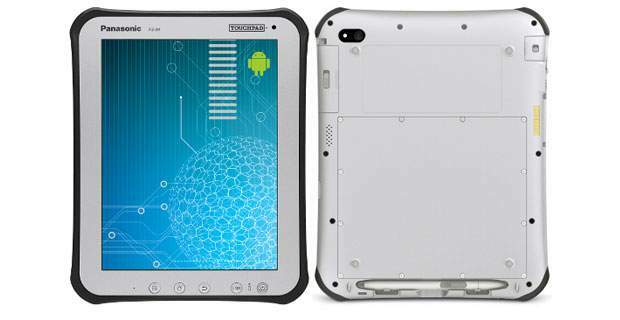 It is the best solution in the form of the Panasonic Toughpad FZ-A1. However, this Panasonic FZ-A1 tablet comes for a staggering Rs. 75,000 in the open Indian market. It is long lasting and runs on Android 4.0 Ice Cream Sandwich. It sports a 10.1-inch XGA resolution display with ant-glare. The tablet is powered by a 1.2 GHz dual-core Marvell processor and IP65 certification for against dust and water. What more? It can stand up after a fall from a height of four feet. The tablet also has other options to offer. There is a mono microphone, mono waterproof speakers, digitiser pen and dedicated security core, the FIPS 140-2 Level 2 compliant. This tablet comes with a 5-megapixel rear camera with LED flash and 2-megapixel of front-facing camera for video calling. It is equipped with 1GB DDR 2 RAM, 16GB Internal memory and expanded memory up to 32GB with micro SD. In the connectivity part the tablet facilitates 3G (HSPA+>HSPA+21Mbps), WiFi 802.11 a/b/g/n, BlueTooth version 2.1, Satellite GPS, micro HDMI. It is fueled by 33.9Wh battery, which leads to 10 hours power backup. Rs 75,000 is of course a big amount for a tablet in India from a brand like Panasonic, but if Apple is able to sell expensive iDevices here then lets keep some hope this Toughpad FZ-A1 also gets the market share. Moreover, it is a concept product for users who are always out in dust and moisture.